Was a busy week, had my sale and did very well, even after the sale I’ve had orders, ended up selling 2 Victorian Santa throws that were meant for Christmas gifts so I’m now on a mission to make 2 more.,managed to get the embroidery blocks done, now to put them together. Wrapped 2 quilts for my sons, felt like I was losing a part of me, cherished the 2 I wrapped, oh well, can always make more after all, 2019 soon to start which means a new year to make many more, in fact I’ve 2 started that I can finish. 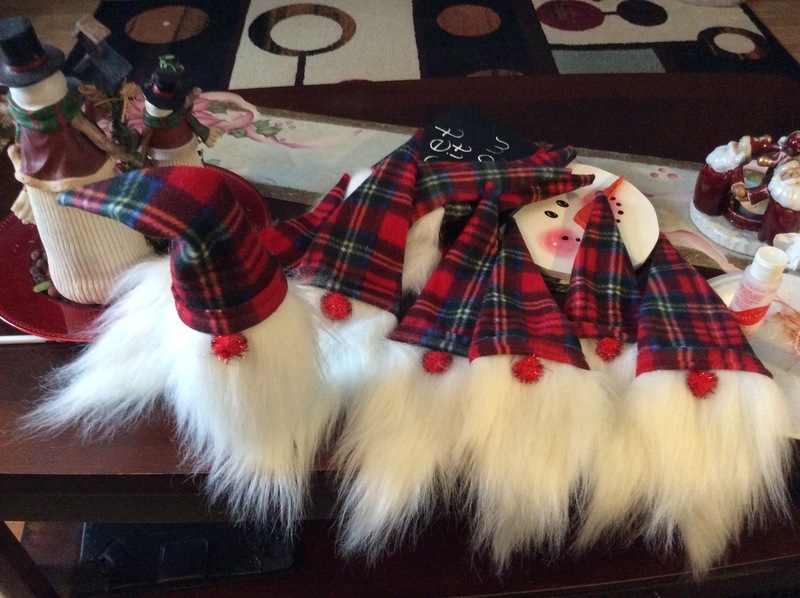 Girls are coming tonight if the weather clears up..some making the nomes, easy to do manyin one evening.,I’ve everything cut so they just need to sew..I’ve about 20 made, like putting a take home item on the Christmas table seatings.made extra just in case. Would like to do the Christmas stocking quilt if I’ve time, can’t forget I’ve got moms cross stitch quilt on the frame to finish, kind of loss interest in it but better give myself a talking to, need it done for her for Christmas..her gift, so hard to buy for someone her age is the backing, batting and quilt8ng is my gift to her plus a few odds and sods. How are all you doing?